My oh my – do we love pie … and chowder! 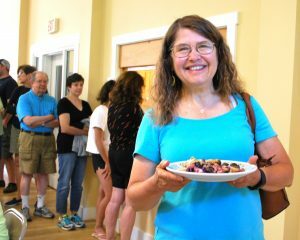 The WCA’s Red Barn was packed with happy people on July 21. 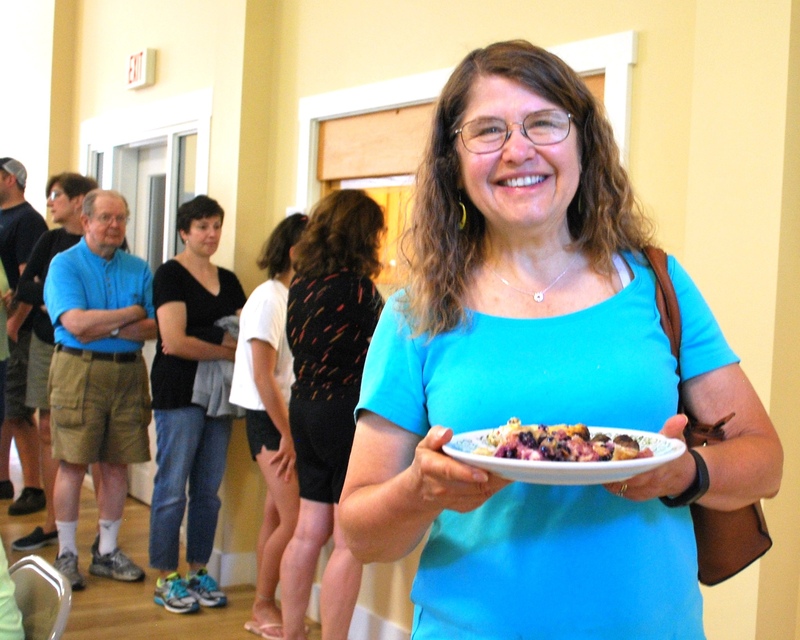 They were all there to enjoy a delicious morning at the WCA’s annual Pie Breakfast. People came from far and wide to help the WCA celebrate this wonderful summer tradition. Organizers Amber Gove and Rachel Seamans would like to thank everyone who attended the fundraiser as well as the many volunteers who made it all possible. Some of the region’s best bakers prepared sweet and savory pies to delight every taste bud. 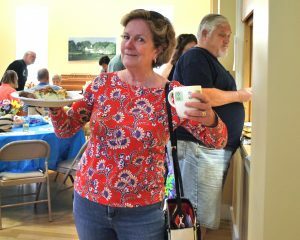 These fine cooks included Kim Baer, Laurie Bagley, Jan Baker, Joanne Bernard, Meredith Bird-Miller, Jen Caponigro, Fran Crowell, Charlie Davidson, Kathy Davidson, Anne Davis, Darlene Delano, Margaret Doody, Mary Fanelli, Jessica Ferren, Adam Glass, Jeff Gove, Judy Hauck, Darlene Hoyt, Sue Hoyt, Chris Jenssen, Jess Michaud, Donna Miller, Margaret Monto, Allie McClenaghan, Kathy Neuberger, Susan Nye, Michelle Robinson, Rachael and Keith Seamans, De Segerson, Jon Schwartz and Barbra Wiggins. Amber and Rachel were ably assisted by a superb group of kitchen and dining room volunteers. Ann and Marc Davis, Darlene Hoyt, Jess Michaud, Nicole Pilotte and Michelle Robinson were all on hand to help. The WCA welcomes student volunteers and were happy to have Kearsarge students Max Brown, Avery Gove and Carla Hoyt on the crew. 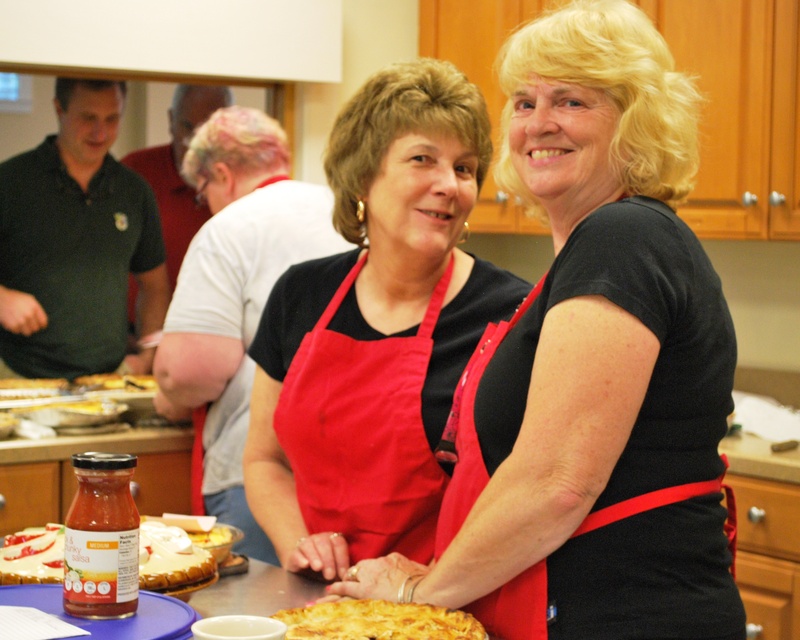 The WCA is grateful to everyone who helped at the Pie Breakfast. As if breakfast wasn’t enough, Amber and Rachel were back at it that night with a delicious Bandstand Supper. They were joined by Ann and Marc Davis, Jess Michaud and Nicole Pilotte. 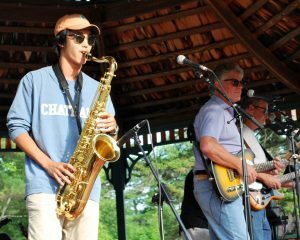 The WCA served up chowder, hot dogs and fabulous bake goods while Nick’s Other Band played on the Wilmot Bandstand. The band, along with several musical friends, provided a wonderful tribute to Wilmot resident and band member Dave Pilla. It was a beautiful evening filled with dancing and song. A warm thank you to everyone who joined Nick’s Other Band and the WCA at the Wilmot Bandstand. 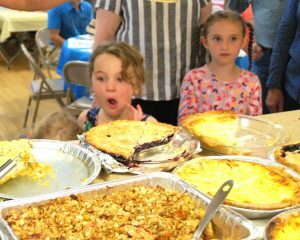 This entry was posted in WCA, WCA Events, WCA Fundraising, Wilmot and tagged #NicksOtherBand, #Pie4Breakfast, #WilmotBandstand by WCA_Admin. Bookmark the permalink.